You can argue that TIG welding is more difficult than other types of welding. TIG welding can take more time, but you get a better weld. Choose the Black Stallion Men's 25K Kidskin TIG Welding Gloves to make your welds. The Black Stallion gloves are made out of ... (see full details) (see specifications) #REV25K. You can argue that TIG welding is more difficult than other types of welding. TIG welding can take more time, but you get a better weld. Choose the Black Stallion Men's 25K Kidskin TIG Welding Gloves to make your welds. The Black Stallion gloves are made out of premium kidskin leather. Kidskin leather is made from young goats. The result is a lightweight, strong, and easy to manipulate. These TIG welding gloves offer a great fit, so you can execute a precise weld. These men's gloves are stitched together with flame-resistant Kevlar thread which will resist burning and will add to the life of these work gloves. These welding accessories also feature premium cuffs. These extra long cuffs will provide protection from hot surfaces, and they're big enough to fit over your shirt sleeves, too. These 4.5 inch cuffs are made out of cowhide for added durability. 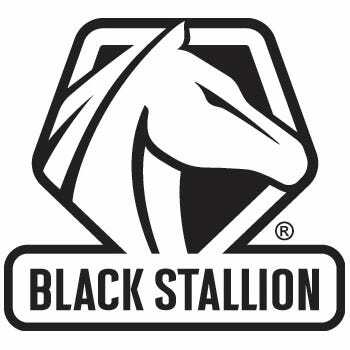 These also feature Black Stallion's exclusive DragPatch side reinforcements which help make these long-lasting. You need good dexterity when laying down a TIG weld. Choose the Black Stallion Men's 25K TIG Welding Red/White Gloves for quality, fit, and dexterity. And choose Working Person's Store for all of your FR apparel and welding gear. There is a lot to like about this glove, here are some of my reasons. The soft kid leather, the long cuff, the side panel, the comfort, fit and price. Who wouldn't like this. I can't believe this glove is only $14, and on sale this week. I have a pair, but for this price, and since I know how nice the gloves are, I am buying another pair. Heck, maybe I'll buy 2 more. They are GREAT welding gloves. The extra piece on the side is really nice if you rest your hand on a stand while welding. I Also like the soft leather. I was not sure when I ordered these gloves if they would be comfortable or not. I was surprised to find that they would be the favorite glove I would use. The fit is snug and the glove is soft. Not too bulky and other than the color, they are a perfect glove. I will be ordering another pair to have on hand. I bought these for doing automotive repair mig gloves. I mostly do plug welding on automotive panels and have been mig welding raw (no gloves) for years, I just can't stand wearing the big thick true welding gloves that heavy duty welder wear, I need to be able to feel the mig gun in my hand that's just me. After getting tired of getting those splatter cherries on my wrist and hands I finally said it's time to get some gloves but they had to allow me to feel the gun and work piece. These gloves provide me with what I needed from them without feeling heavy. They provide me with enough hand protection from flying splatter and protect my wrists also. If I was doing heavy welding then heavier gloves would be needed but for light mig welding auto sheet metal repairs these work well for me. Black Stallion Gloves: Men's 25K TIG Welding Premium Kidskin Gloves is being added to your cart.